#Hibernot kicks off this February and to celebrate, we will be offering Pentland customers some very limited offers on the weekend of the 3rd to the 5th February 2017 at each of our dealerships, along with a taste of the best local produce at each of our locations. Here at Pentland Land Rover we find excuses not to stay in, but to get out and embrace the best that out fair and rugged land has to offer. Hibernate? Not on your nelly. From town to countryside, city to sea, we want you to enjoy a world of opportunity, made possible by Land Rover. #Hibernot is all about making the most of Winter and over the coming weeks we’ll be suggesting some of the best Scotland has to offer you and your Land Rover whether its culinary experiences, breathtaking activities, or roads less travelled through some of our wild places. To launch #Hibernot this year Land Rover UK partnered with 2 Michelin-starred Chef Simon Rogan. 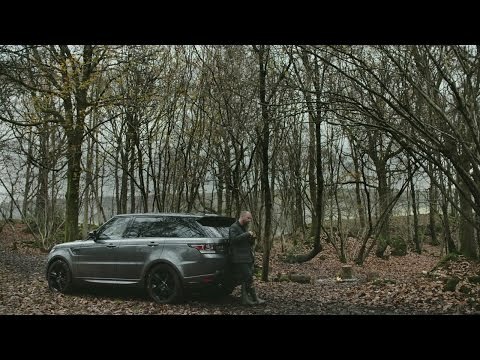 With the aid of his trusty Range Rover Sport, his mission was to prove that Winter can in fact taste extraordinary, whether foraging in the earth, on the land or from the sea - we think the results look and sound delicious, but see for yourself in the videos below. Keep your eyes peeled for more details over the next week, or alternatively contact your local Pentland team for more information using the buttons below.